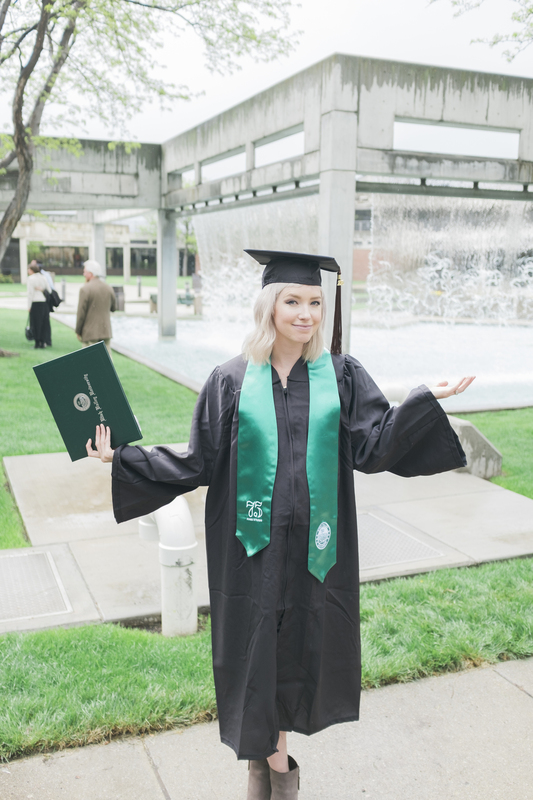 last week i finished my bachelor of fine arts degree from utah valley university with an emphasis in photography. so now i'm like, a legit photographer, you guys. total fraud before. juuuust kidding. but this was such a huge day for me, its bittersweet that i don't get to go to classes anymore because i loved all of my classes and everything i learned there. but now that i don't have school to worry about i can focus so much more on my work and on my family. also i am currently almost 7 months pregnant so this whole thing could not have happened at a better time. (can you spot my bump under my graduation robe??). anywho, just wanted to share a few images from that day. it was beautiful, rain and all. also, HUGE shout-out to my husband, justin. wouldn't/couldn't have done this without your encouragement and support. to my boys, ezra and colter, who had to put up with a lot to get me through school. and to my amazing family who helped and supported me along the way (pictured and not pictured). you have all. my. love.